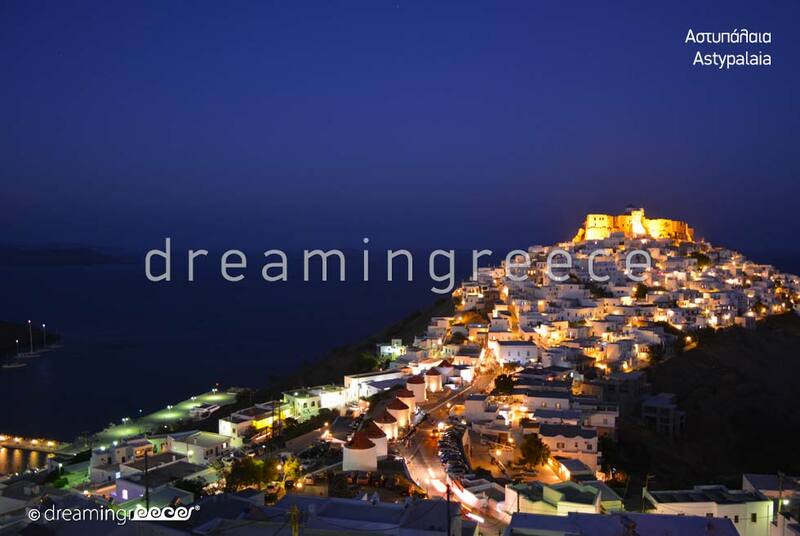 The beautiful island of Astypalaia is considered to be one of the most atmospheric Dodecanese islands with beautiful beaches and picturesque alleys. 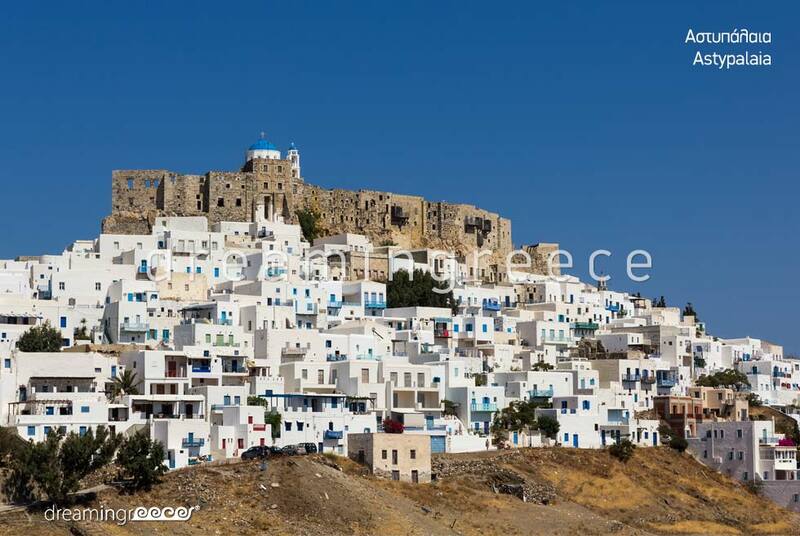 In Chora -Astypalaia the Venetian Castle; the trademark of the island, dominates. 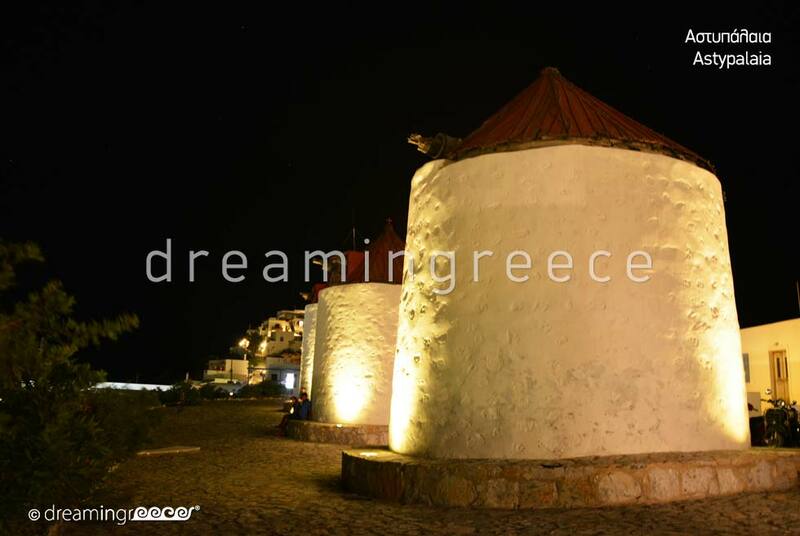 At the Castle’s gate there is the church of Panagia, which is dedicated to the Madonna’s Annunciation, while further inside, there is the church of Agios Georgios; the oldest of the island. 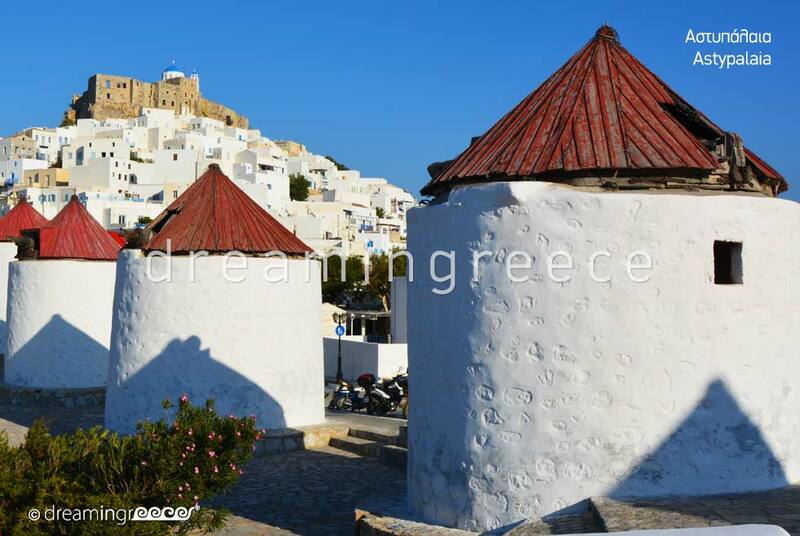 Near the Chora’s central square, eight, well preserved, white windmills stand. This is locals’ meeting point mainly from their afternoon coffee or drink. 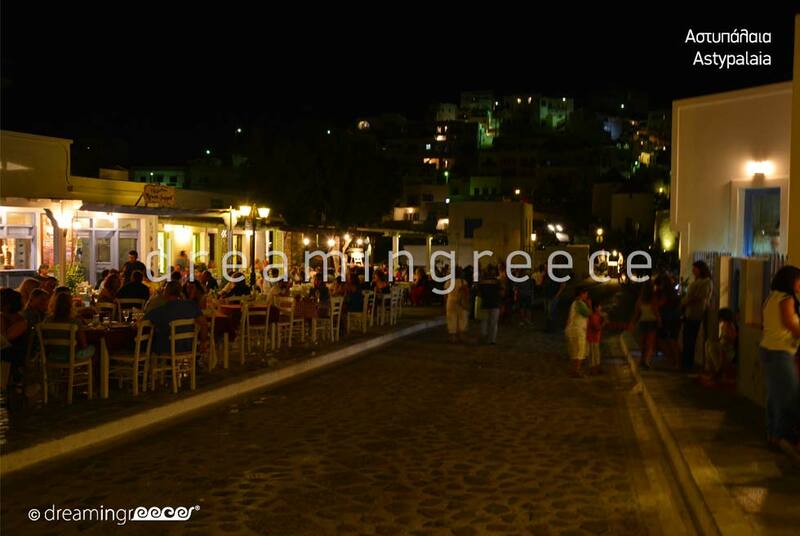 The nightlife is vivid at the central square as well as the surrounding streets as there are several taverns with good food, and stylishly café/bars. 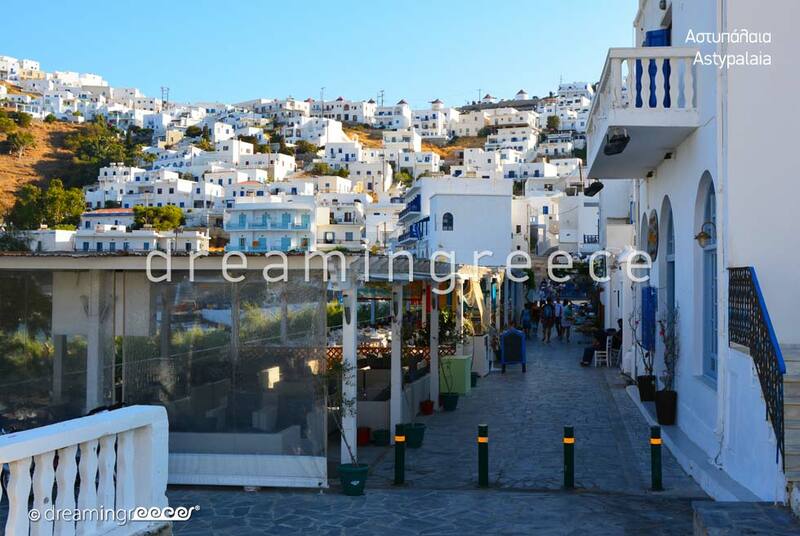 It is worth walking early in the morning as well as in the afternoon just before the sun sets at Chora’s streets! It is also worth visiting the church of Prophet Elias which lies just across Chora. The view to the town and the castle is magical! If you follow the path, you will find a few meters down, in Paliomylos position, a traditional mill. Enjoy the view to the town, especially at sunset and keep this moment, forever, in your memory. 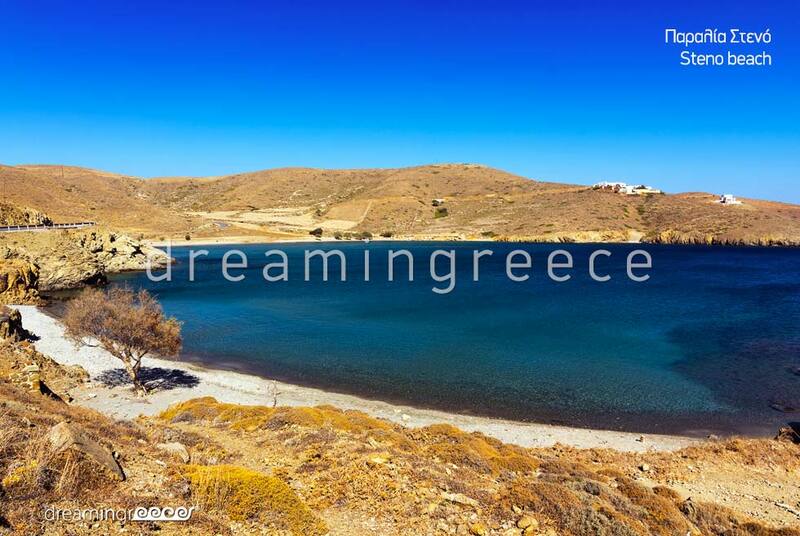 Near Astypalaia’s Chora you can find Pera Gialos, a sandy beach with crystal clear waters, ideal for those who do not want to move far from the town. In a relatively short distance you will find Livadi, Tzanaki, Moura, Pappou and Agios Konstantinos beaches. 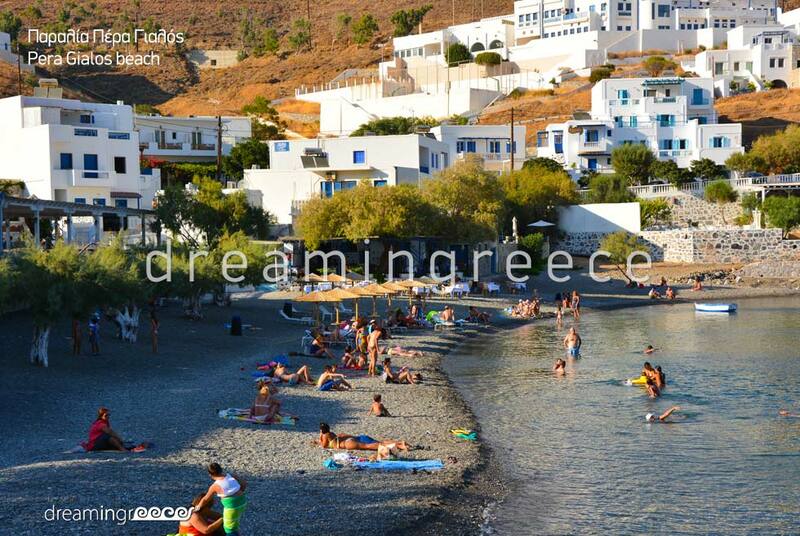 A bit further away, there are also Vatses, Kaminakia, Agios Ioannis, Panormos and Pachia Ammos beaches. To reach the island of Astypalea, you can fly directly from Eleftherios Venizelos - Athens International Airport, as well as from the airports of Rhodes, Kos, Kalymnos and Leros. For more information on the flight schedules from Athens Airport click here. 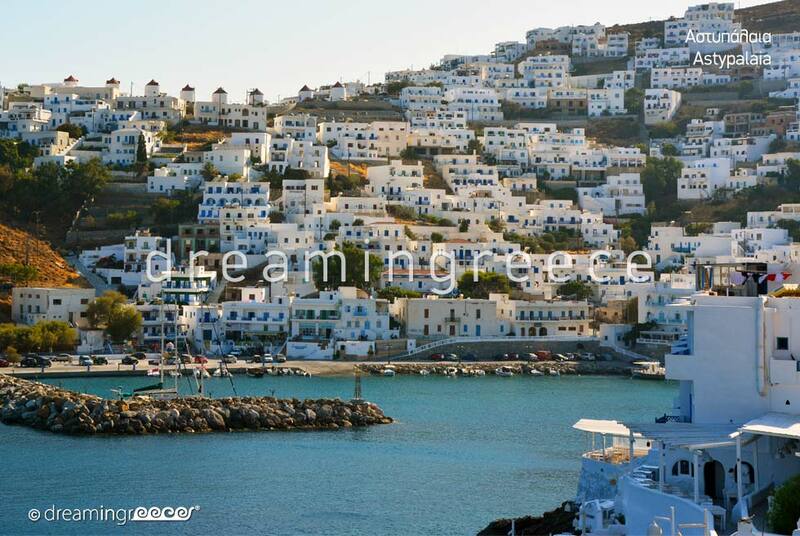 Astypalea is connected by boat with the islands of Syros, Paros, Naxos, Donoussa, Amorgos, Santorini, Folegandros, Schinoussa, Koufonisi, Patmos, Lipsi, Leros, Kalymnos, Kos, Nisyros, Tilos, Symi, Rhodes and Kastelorizo. For your transportation on the island you can use the local buses, which serve the routes from Maltezana to Chora and from there to all island’s beaches.